Park Jeong Woo was living his normal life as a prosecutor at the Seoul Central District Prosecutors’ Office until he wakes up one day in prison with no recollection of murdering his wife and daughter. All signs point to him being framed by businessman, Cha Min Ho, whom he has been investigating. Without any of his memories of what happened, Jeong Woo must clear his name somehow before more tragedy strikes and he will forever be branded as a murderer. Alert the media! We’ve got ourselves a contender for “Best Drama of 2017” here in Defendant. Although readers of Drama for Real will know that I’m no stranger to hyperbole when it comes to describing my favorite dramas, this one has really been the standout of the year thus far. Defendant is a suspenseful thriller that successfully utilizes its setting to the story’s advantage and is solidly cast with Ji Sung in a star turn. Despite a slight drag in the episodes leading up to the finale, all the other great aspects of the drama make up for it. 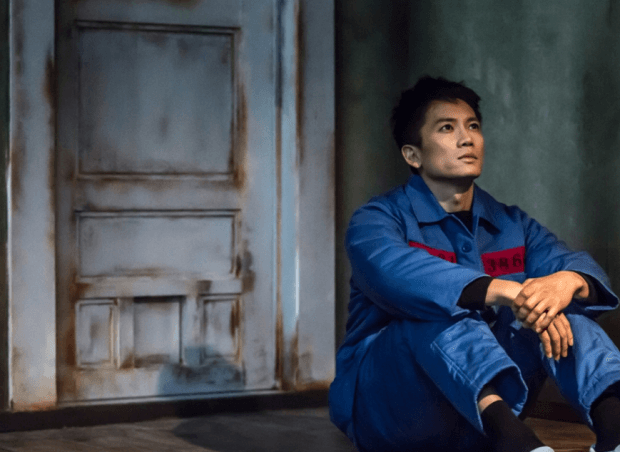 Even though crime dramas are a dime a dozen nowadays, Defendant rises above its peers with a smart, well-paced plotline and a cast that really embodied their roles. Let’s get the pesky, but minor criticism I had with Defendant out of the way first. With a plot as outrageous as waking up on a prison cell floor with no memories of supposedly killing your wife and daughter, there’s bound to be some implausibility. In my opinion, the whole amnesia twist to the storyline was kind of a silly, lazy twist. Since it’s pretty clear right from the get go who the real culprit is, there wasn’t any of the traditional “find the murderer” anxiety that most crime dramas have. And because of that, it really didn’t feel necessary to have Park Jeong Woo lose his memory (multiple times) only to regain it again. I would have preferred to watch the battle of the wits between Park Jeong Woo and Cha Min Ho without the amnesia as a distraction. But all that being said, there were some great cliffhangers because of it, so I’m not overly upset. While it was exciting to watch Park Jeong Woo and Cha Min Ho try to one-up each other, one of my favorite things about the drama was the camaraderie between the entire prison group. In kind of a strange but not totally farfetched comparison, parts of Defendant reminded me of the Korean movie, Miracle in Cell No. 7. Both featured a tight-knit group of prison inmates who work together to right an injustice. In Defendant, the prison is heavily featured and is where most of the scenes take place. This ran the risk of the drama feeling claustrophobic because we’re only seeing one set over and over again, but this never happened. Instead, I found the heavy use of the prison setting to be a huge asset, becoming almost a character in the story. The colorful characters that populated the prison supported and added to the story, rather than detract from it. The plot of Defendant was great and full of twists and turns that kept the audience guessing, but it wouldn’t have been nearly as successful if it weren’t for Ji Sung’s acting abilities. He carried this show from beginning to end, and made the whole watching experience so much better. He had a lot of great moments with the other characters, but my favorite ones were actually the times he acted alone in a scene. After seeing him portray 7 different characters in Kill Me, Heal Me, I didn’t think it’d be possible for him to turn out another role as nuanced so soon. But damn, he did it. Ji Sung fully embodied the character of Park Jeong Woo and portrayed all his emotions and vulnerabilities perfectly. At times, it felt like he truly lost himself in the character and had me mesmerized by his performance. Uhm Ki Joon as Cha Min Ho/Cha Seon Ho did a good job as the villain, but not great. His character’s actions were certainly despicable and psychopathic, but I was turned off by his impulsiveness more than anything. It seemed like everything he did was in reaction to something and not premeditated, so it was difficult to see him as the classic villain archetype. Kwon Yuri surprised me with her performance as Park Jeong Woo’s defense attorney. Was she necessary? Yes and no. She did her job, but that’s about it. I just found her character to be a bit too one-dimensional. I never trust idol actors, but Yuri was perfectly acceptable here, so that’s more than I can ask for. Likewise with most of the other characters, they functioned more like plot devices than fully recognized characters. But to be honest, I’m more than fine with it because everyone’s acting was fine, and this was ultimately a drama that belonged to Ji Sung and, to a lesser extent, Uhm Ki Joon. Defendant isn’t a flawless drama, but it was exciting and thrilling with a brilliant performance from Ji Sung. I was kept in suspense throughout the majority of it, and was satisfied by the ending. With plenty of twists in the story and no major plot holes, this is a drama that is definitely worth watching. Not a typical legal drama, but also not a typical crime drama, Defendant is a ultimately a drama that shows justice and righteouness triumphing in the face of evil. Defendant was written by Choi Su Jin, who also wrote the 2011 drama, City Hunter. The drama was originally scheduled to end on March 14th, but was extended by 2 additional episodes due to viewers’ requests and the need to finish the twists and turns in its story. Defendant achieved the highest ratings for a drama so far in 2017 (beating both Goblin and Legend of the Blue Sea! ), averaging 21.69% during its airing. The finale reached 28.3%. Ji Sung most recently starred in Entertainer (2016) and Kill Me, Heal Me (2015). He won the Grand Prize at the 2015 MBC Drama Awards for his role as Cha Do Hyun, a man with 7 different personalities.